By Saturday of Classic, attendees are incredibly tired but have one more day of excitement to grasp. Thankfully as I made my way back to the convention for a fee more goodies, Starbucks called my name! After an evening of networking with friends and future colleagues the extra shot of caffeine was a definite necessity. 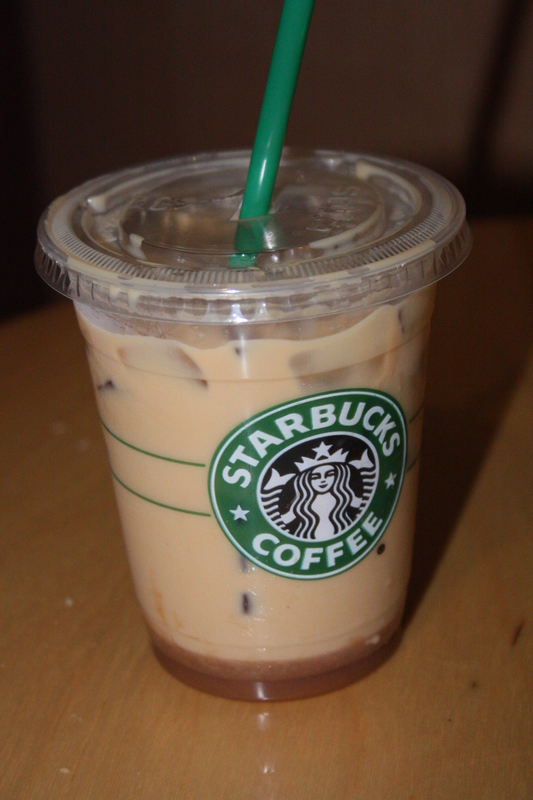 This refreshing Iced Upside Down Caramel Macchiato hit the spot. However, many farmers and ranchers enjoy their black, rich and simple coffee to start off their early mornings. Most of us know farmers as simple good ‘ole boys, which we all wish the entire population enacted. During my last round at the Trade Show, I met with some farmers and ranchers from northern Colorado/ southern Wyoming. The group was quite intrigued I was here blogging, in which they picked my brain about the blogging, Tweeting and Facebooking. One message many farmers are taking home is dedicating 1 hour per week to educate consumers through the use of the Internet and community events. As the coffee shop talk continued, they were extremely fascinated by the idea of social media but a little unsure how to implement these networks into their small family operations. Point being, social media does not need to imitate the complexity of my choice of coffee. However, social media tools are the ticket in educating the consumer and expanding the agriculture industry. Small family operations are encouraged to start fan pages to network to those in the community who may not know about agriculture production. Social networks are a growing trend and if we continue to supply food, fiber, fuel and economic growth we must get on board. The farmers from Colorado and Wyoming were confused by the fast-paced technology but were really interested in learning. They even caught me again to pick my brain more. Facebook is such a valuable tool for any industry to reach their intended audience and build networks across the US, even for the small family farm. As I leave to catch my plane from Las Angeles, Calif., back to God’s country in the High Plains, I leave you with a the challenge of captivating consumers’ attention with your production systems. Educate them about the over-time you commit in order to make ends meet. Let them know, if agriculture stops they will be hungry, jobless and even naked. Now let’s not allow any of these things to happen! ← One of the Best Parts of Tradeshows? SWAG! One of the Best Parts of Tradeshows? SWAG!